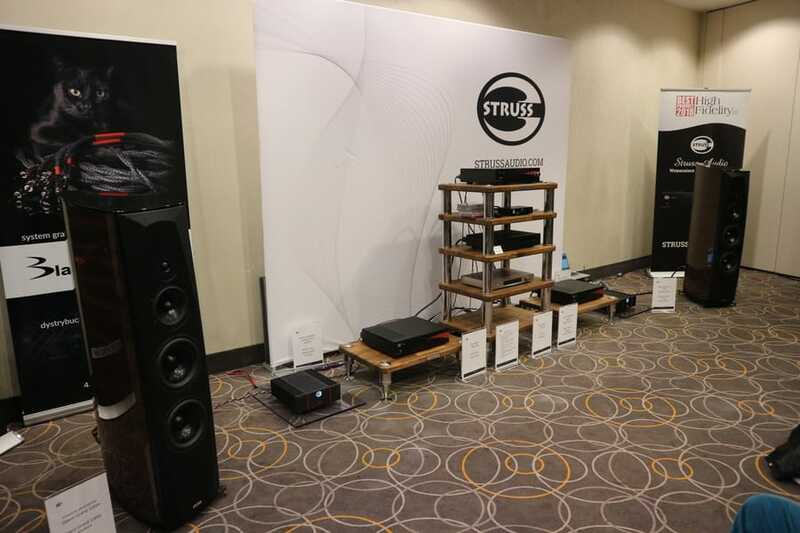 Linette Smith guides you through the Audio Video Show Warsaw 2018. If you were not the show this year, then you should consider it for next year! Read on for, more on why this is such a great show, trends from the show, tips to get the most from your visit and of course, Linette’s favourite rooms of the show. This is the third time that we have made the journey East to Warsaw in November. If you are planning on making this trip next year, then I heartily advise wrapping up very warmly. It is very cold, starts getting dark at about three in the afternoon and, if you decide to take a walk around the city, you will spend a lot of time stood at pedestrian crossings. It is not, despite all of the above, a grim place to be at all…in fact, it is rather lovely. For a start it is very cheap to go out. Taxis are not a bad price, expect to pay around £8 to £10 for the half hour drive in from the Chopin Airport (yes, you read that right). Ubers are even cheaper and there is always one a couple of minutes away, so if the weather is too cold for you, you can easily navigate the city for very little money. Food and drink again are very reasonable and there is so much to choose from. There are loads of vegetarian and vegan places to eat and we found lots of lovely restaurants with a diverse range of cuisines. People are very friendly and most, especially in restaurants, speak English and are happy to translate the menu if they don’t have it in English (though most do). This is very helpful as the extent of my Polish language skill is minimal…I can say hello, thank you and then various random hifi related words! The Show – tips to make the most of it! We arrived at the Radisson Blu Sobieski Hotel on the Thursday night. Getting through the airport is a breeze, having landed at Chopin around 4.30pm, we were checked in and heading for our room in less than an hour. The Sobieski is one of the three show venues. It has a whopping eight floors of show, which is laid out so as not to impact on other hotel guests, even using separate stairs and lifts. There is a nice bar/restaurant and it is a bit of a hub for press and exhibitors alike. The other venues are the Golden Tulip Hotel, which is over the (very busy) road, and then the National Stadium which is just across the Vistula river that splits the city into east and west. To get to the stadium, there are regular, free shuttle coaches that run from the Sobieski and back. You can also get a taxi there (there are usually plenty of taxis outside the Sobieski) but be aware that when you come out of the stadium, there is not a taxi rank. Your best bet is to call an Uber to get back to the hotel, which costs around £4. 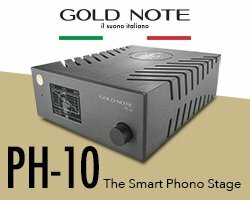 If you have never been to the Warsaw Hifi Show then you do need to plan how you will get around it as you will probably not be prepared for just how busy it is. The show starts on the Friday afternoon, giving you a morning to go sightseeing if you like. We always try to get around most of the Sobieski that first day. 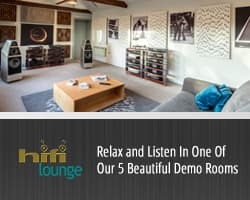 Though it is open to the public, it has the feel of a press/trade day and it is easier to get into rooms for a listen. We apply our usual ‘top down’ approach and start on the seventh floor. The show is open until 8pm the first two days giving it a lovely, unhurried feel. With most of the Sobieski covered on the first day, we spend the Saturday morning covering the last three floors. This is the busiest day of the show with people queuing in enormous lines to get in. I suggest going out for lunch on the Saturday and then come back via the Golden Tulip. Although there are only eight rooms of show at this venue, they are high quality conferencing rooms featuring very high end equipment and some fantastic sounds. We save the National Stadium until the Sunday. Being a stadium rather than a hotel it is built for crowds of people, so even though it is busy you can get around. 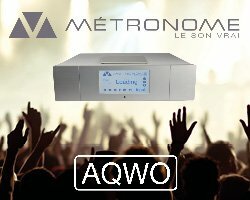 You will find most of AV rooms at the stadium, plus there is a huge headphones room that is a show within a show for headfi lovers. Throughout all of the show venues though, you will find that there are times when you just can’t get into the rooms because the demand is so high at the weekend, I would suggest that you get to anything that you really want to see and hear on the Friday. It has to be said that the organisation of the show is phenomenal. Adam and his team work year-round to make sure that it all runs smoothly. Exhibitors, press and visitors are all in agreement that this is one of the best and most enjoyable shows on the calendar. 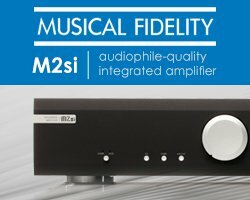 In size it is second only to Munich out of the European hifi shows, but it has a very different feel. Whereas Munich does have that corporate edge to it and is a place based on hifi as a business, Warsaw has a super family feel with more young people, teens, families with little kids and couples than any other show we have been to. There is a wide variety of music played, much of which is Polish and that you probably haven’t heard before. 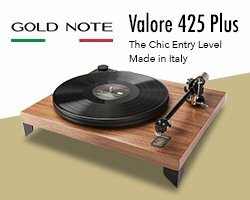 Jazz is very popular in Poland so expect to hear lots, some of it a bit ‘challenging’ for me but whatever, it is good to hear different stuff played at a hifi show. This is also a show where you will get to experience equipment and brands that you haven’t come across before. Many eastern European brands choose to exhibit here so be prepared to discover some new and different brands and products. 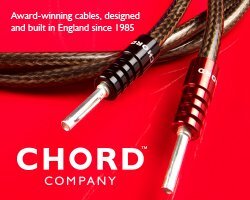 Of course many of the big, well know global names in hifi choose Munich for their product launches, however, Polish hifi enthusiasts love their British brands so expects to see names that you know like Chord Electronics, PMC and Harbeth and many more, put together by dealers and distributors into systems in combination with different brands than you may not have heard them with before. This gives you a different perspective on what goes well with what and opens your eyes and ears to new and exciting possibilities. We heard some very nice combinations that we had not heard before. 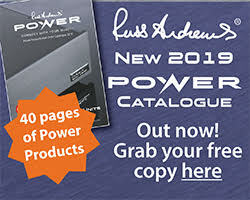 The local dealers and distributers are very well supported by the brands that they represent with people that we know from all over the world there to help with set up and running the rooms and demonstrations. The show has a very international feel to it with press also making long journeys from all over the globe to cover the show…it shows just how important it is. One thing you must do is get your head around the prices. The local currency is the zloty, which, at the moment, is worth just over 20p in sterling. (I did say things were cheap). 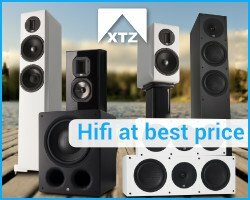 Whilst there are some mega bucks prices on really high end home grown Polish gear, you will find yourself looking at the price of say a pair of speakers, and thinking that they are very reasonably priced at just under £4,000…then you realise that you are looking at the price in zloty and those lovely speakers are just over £800! Selling products (other than music at the various record shops) is not allowed at the show, however, it is a great place to do some virtual shopping and make contacts to buy from later on. 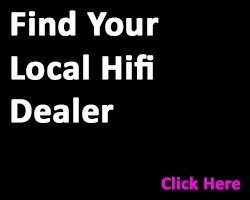 Likewise, if you are a distributer or dealer after new brands then this is a great place to come, many of the local brands are looking for distributers and dealers in different markets. 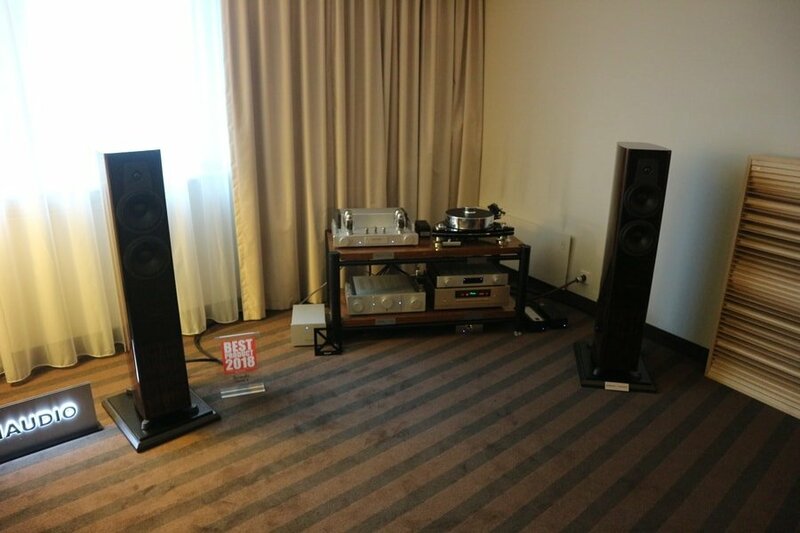 Personally, I always look forward to coming to the Warsaw hifi show, everything about it makes it a pleasure to attend…I already can’t wait for the Audio Video Show 2019! 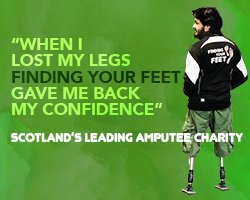 Trends – what’s on the up? 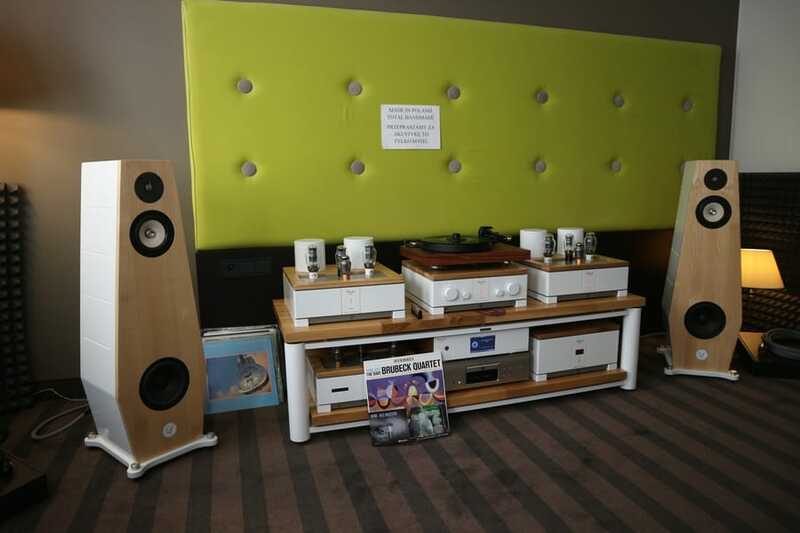 Of course, hifi shows are great places to look at what trends are coming through the market. 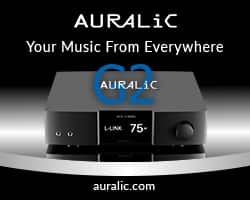 The big thing that we have noticed recently at shows, Warsaw included is the growth in fully active speakers and systems that just need a source, whether that is streaming from a phone or other device. 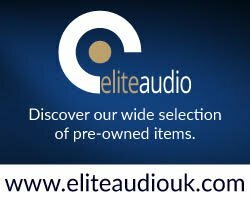 These range from cheaper systems to the very high quality and high end, offering something for every taste. 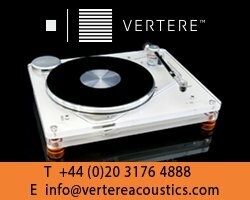 The ability to also connect turntables or CD transports offers more flexibility for people who have their music collections across a variety of formats, which, let’s face it, is many of us. 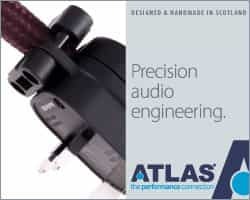 Side firing bass drivers, seem to be a ‘bit of a thing’ at the moment, they are everywhere, on all sizes of speakers. Also noticing a trend of tripod speaker stands, which are rather elegant and give a fresh look, perfect for modern homes. 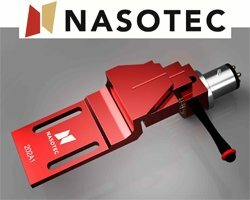 Something else that we picked up on at Warsaw, and have seen recently at Munich and Cranage too, there are a lot of new brands coming onto the market that are run by much younger people. 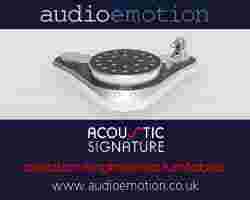 They are producing cleverly thought out, well designed, attractive products that people of all ages will want to buy. 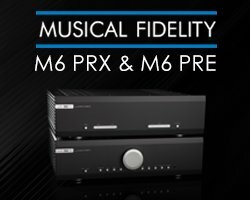 I think that this is a particularly healthy trend for the hifi industry as a whole. New people coming into the industry with fresh ideas, approaches to technology and new ways of working is to be highly encouraged. 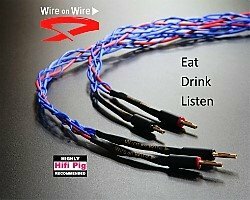 Hifi Pig coverage of all the rooms is coming from Stuart, but, as I usually do with shows, I picked out my personal favourites from each venue. here, I cover the first part of the show at the Sobieski, with more to come from the Golden Tulip and the National Stadium. It has to be said that the quality was so high that this was a very difficult task. Basically, a special room that I really liked went on my shortlist. These rooms were overall well planned, well put together, looked great, had enthusiastic and helpful staff and sounded fantastic…they made me happy to be there. I found it impossible to pick just one ‘Best in Show’ room as I liked many for different reasons, whether that was sound quality, music choice or general ambiance. These rooms, with just that extra thing that gave me goose bumps and made me want to stay for much longer than I should, got a ‘star’…it seemed to be the fairest way of doing it. 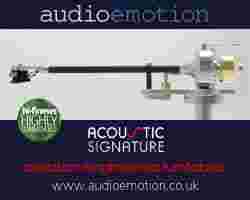 The very best sounding rooms had high quality rather than high volume. I think the best test of a system is how it sounds at a volume that you can still speak over. 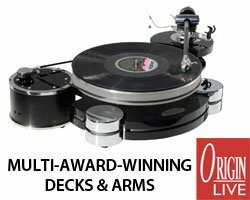 These top systems sounded unforced, well balanced and did not need pushing to the limit. 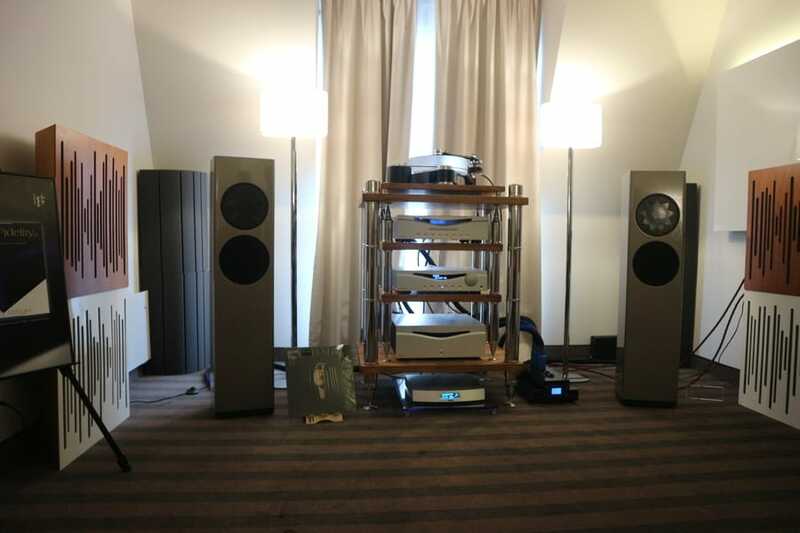 Starting from the top floor and working down, to beat the crowds, gave us the best experience of the ‘traditional’ hotel hifi show at the Radisson Blu Sobieski. Most of the rooms are bedrooms with some larger ones down on the ground floor. The Sobieski is a whole show on its own, here are my highlights! Cube Audio always impress us with their full range speakers and drivers. 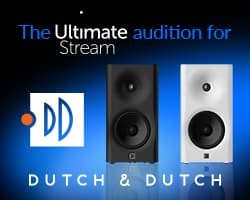 They are no fuss, modern looking and great sounding. 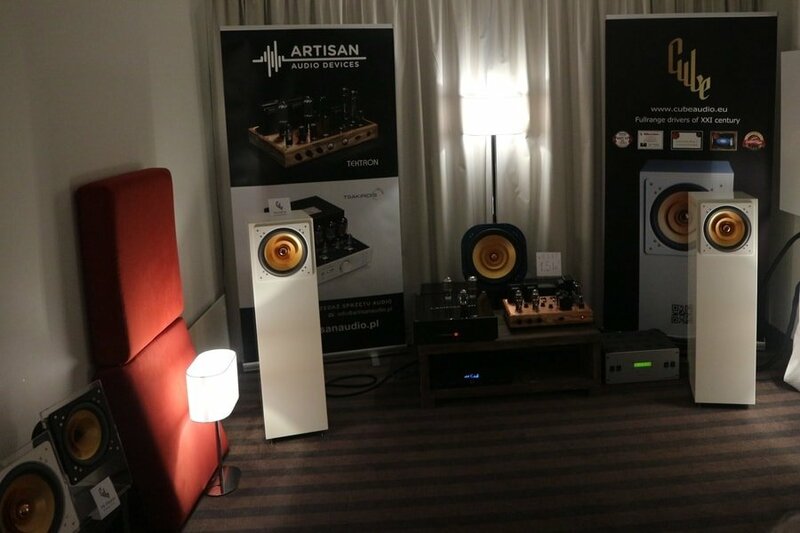 The system with other Polish brands, Artisan Audio Devices and Lampizator, was a great sound and an interesting system…Polish hifi fans are very fond of their valves! 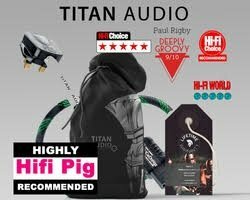 Audio Anatomy of Poland have a very nice selection of high end brands. 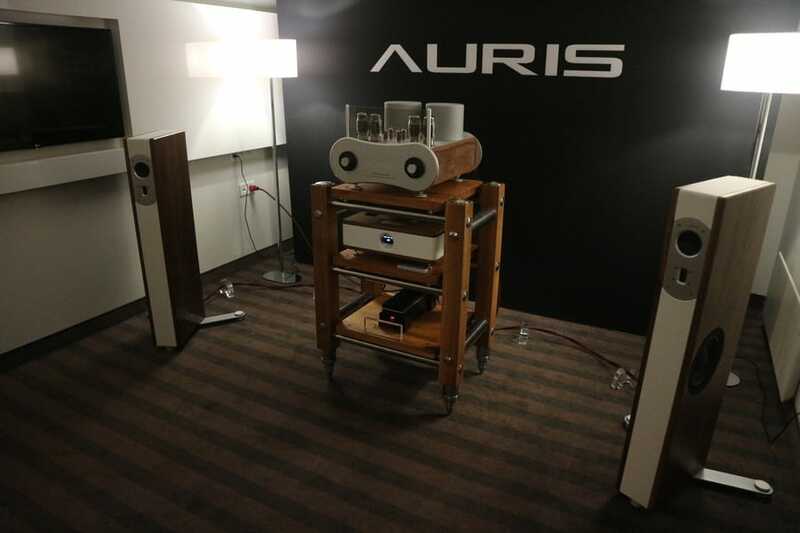 Their first room was an Auris system featuring the Russian brand’s Poison 8 speakers with their distinctive valve amplification. 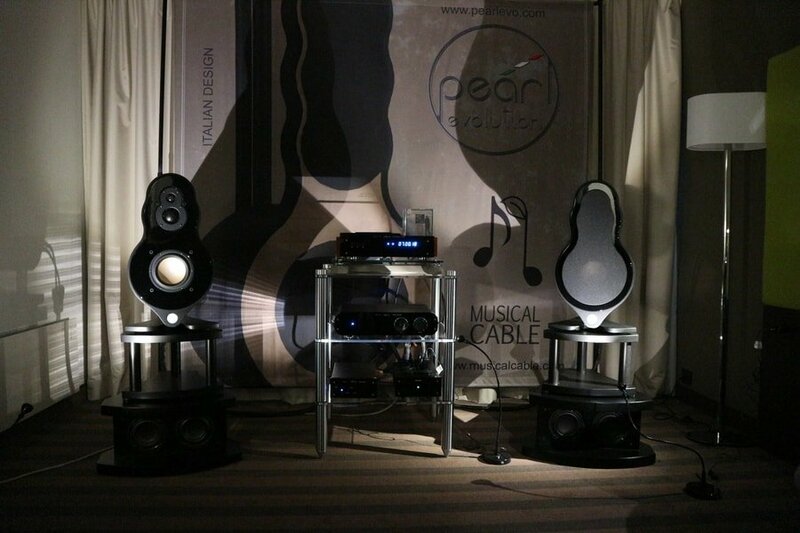 The side firing bass of the speakers was a trend that we noticed in many speakers at the show. The room was big enough to give them room to do their thing and the sound and styling impressed. 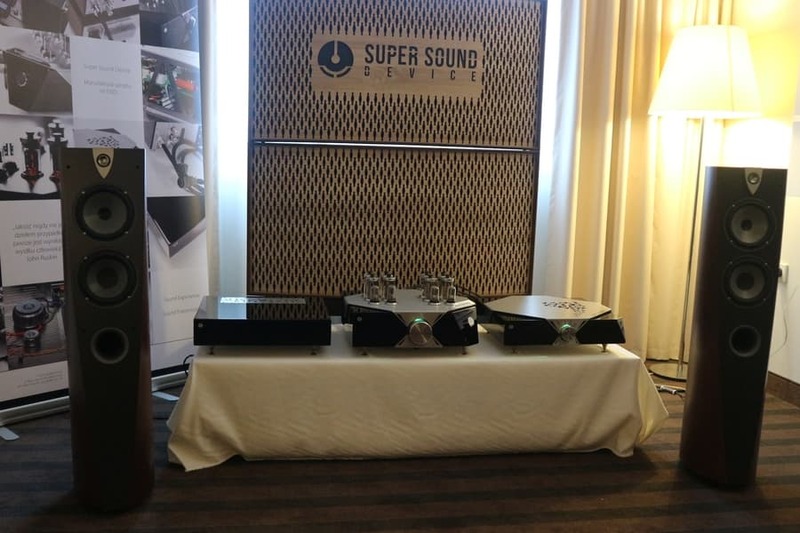 Audio Anatomy’s second room featured the P2 Manger Audio loudspeakers and Scheu turntables of Germany, alongside Audia Flight electronics from Italy. As I have come to expect from a Manger room, the sound was elegant and unforced. 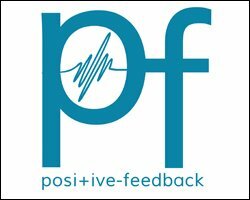 Nice to see both Daniella Manger and Ulla Scheu there representing female hifi manufacturers. 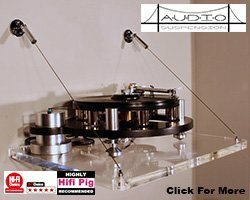 Super Sound Device are a totally new brand to me. I walked in to the room and immediately thought ‘this sounds amazing’ followed swiftly by, ‘this looks amazing’! In an industry where many electronic components can be put in a black or silver box, it is nice to see a brave brand identity. I’m not talking about over complicating design just for the sake of it, but a bold look can make you stand out from the crowd. 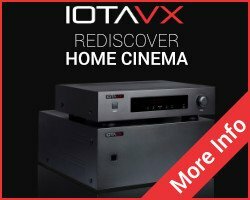 Robert and Michal, creators of this Polish hifi brand, both studied in Warsaw and have many years’ experience in both industry and the military. The combination of high gloss piano black and shiny silver metal had almost an art deco design and would look stunning in the home. The sound had that unforced but detailed and clean sound that I love. 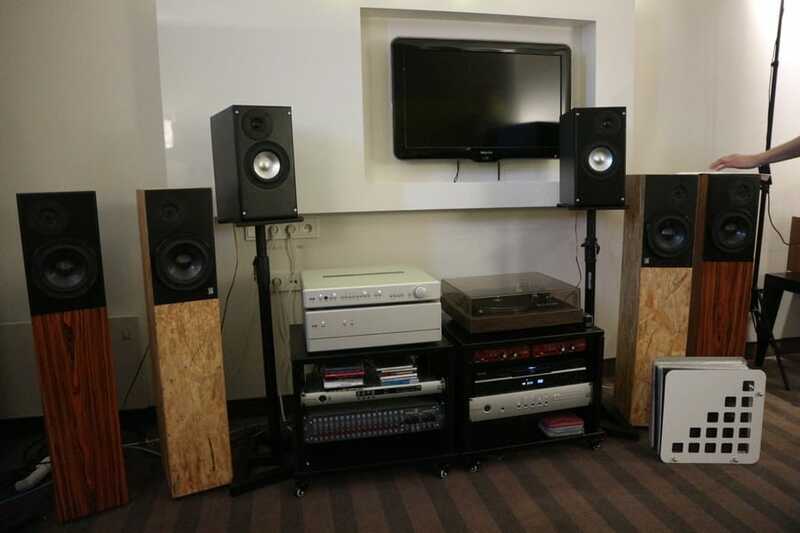 The speakers that they were using were unbadged Focals (we spotted the distinctive Focal drivers when we walked in) that they had modded themselves, but I would love to hear their DAC and valve amp with some high-end horns. 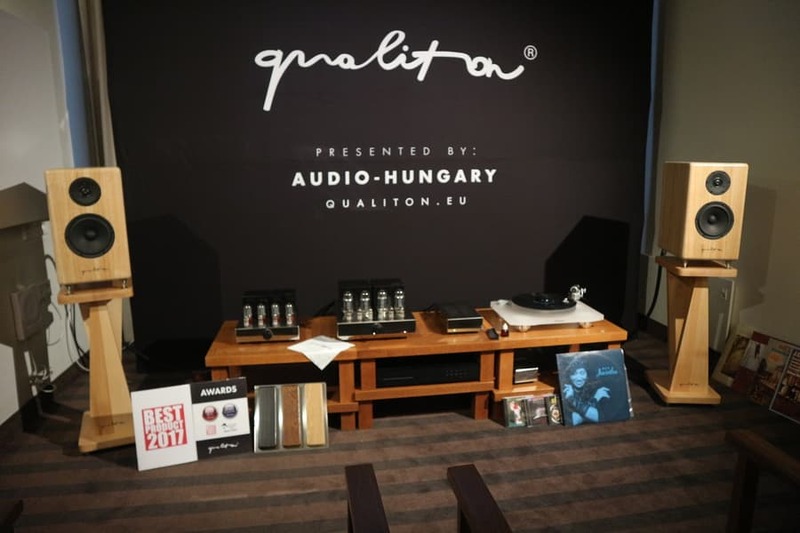 We know the Qualiton/Audio Hungary brand well, owning one of their valve amps ourselves. 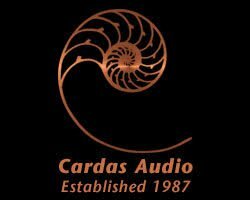 Unsurprisingly, they come from Hungary and are another example of an eastern European brand that are putting together great sounding gear that also has a strong brand identity. 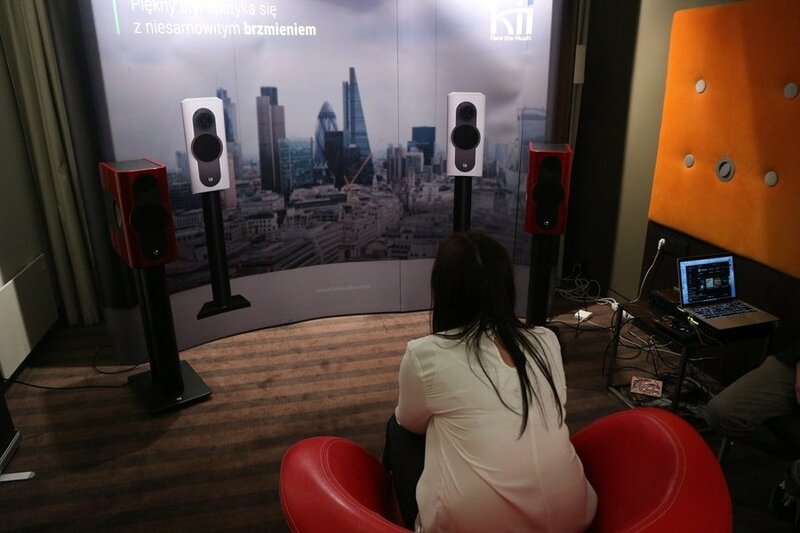 It was good to hear their new prototype loudspeakers, the room was clear sounding and looked good to. Remember what I said earlier about hearing different brand combinations that you may not have heard before? This Octave and Dynaudio combo was a winner, in fact this was probably the best I have ever heard Dynaudio speakers sounding (Contour 30). They were using an Accuphase CD player when we were in the room and the music had such a natural feel to it. 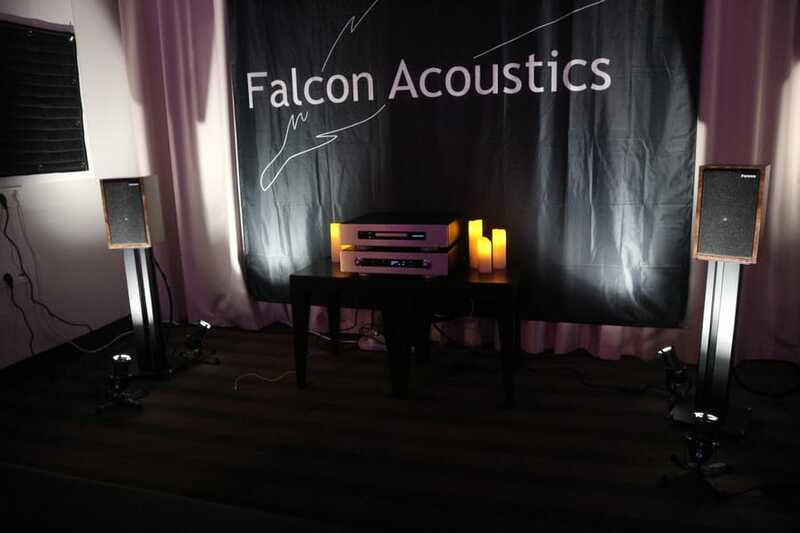 Always a pleasure to see Jerry from British loudspeaker brand Falcon Acoustics. They have a great, consistent sound. When we walked in the bigger, reference Graphene GC6500R speakers were playing, which were impressive and were with EAR Yoshino CD/DAC and amplifier, however they then turned the room around and put on the little Falcon Classic BBC LS3/5A speakers for us, running with the Primare Prisma Network CD player and amplifier. 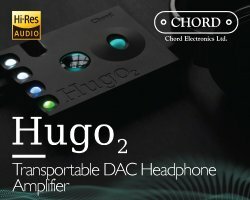 We were blown away by both the clarity and the expanse of the sound, they were definitely onto something with this combination. It was not just us that thought so as other people in the room immediately started asking about them…one of those times when small is the most beautiful. 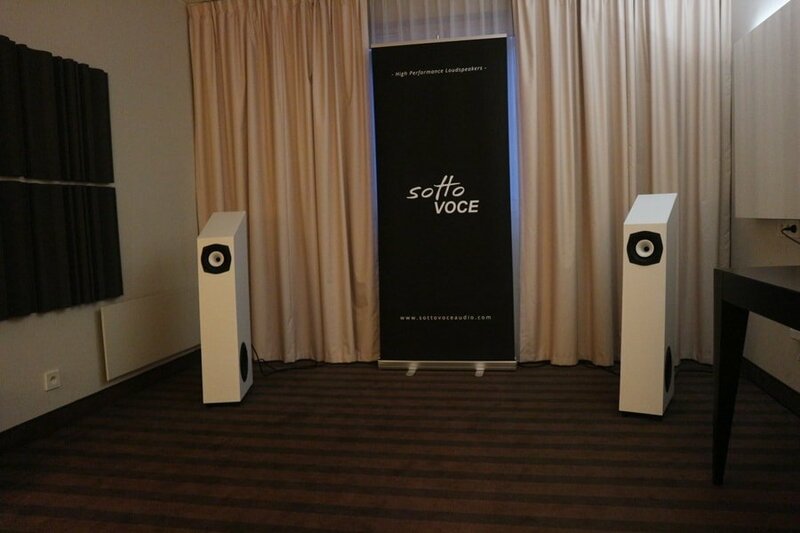 We ran the news recently about these new Sotto Voce stereo 3 loudspeakers. They are made in Valencia, Spain and on paper tick a lot of boxes. 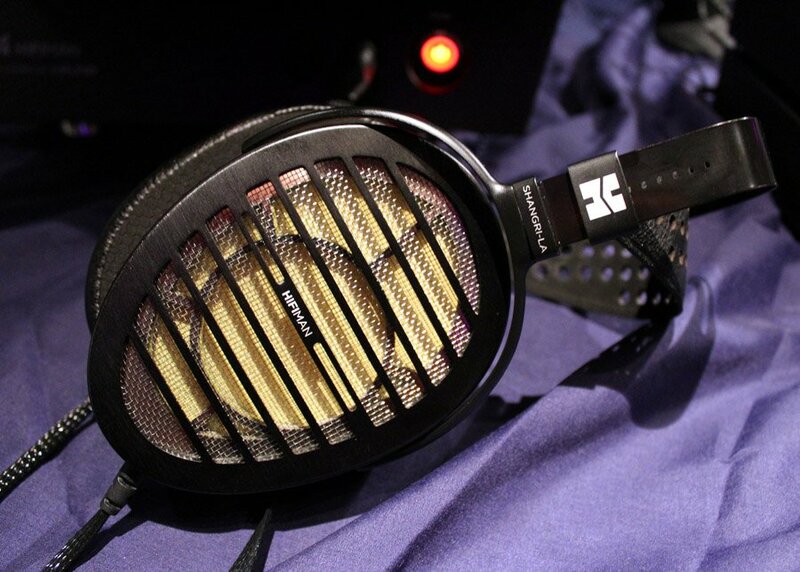 Elegant, modern design, active, side firing bass drivers …they did not disappoint with the sound either. 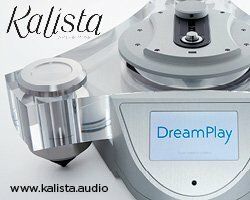 Accurate but fun to listen to, would look great in a modern home too. If you are looking for the perfect example of a hifi brand that is not afraid to stand out then you should check out SoundKaos. Perfectly made, Swiss precision..with a really playful side. 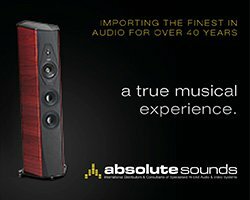 I absolutely love their Liberation open baffle loudspeakers, which we have heard at many stages of their development. 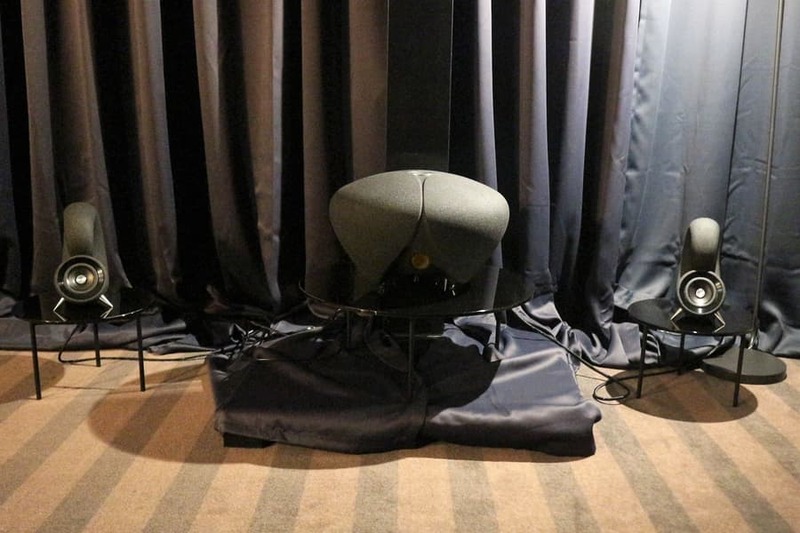 This time we were in the room when the tiny Vox 3 standmounts that were playing, these now have their ribbon tweeter on the top and of course, side firing bass. The sound was stunning. The feedback was good from other journalists and visitors alike, with many people we spoke to mentioning SoundKaos. 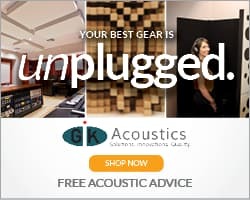 Great sound does not have to come in a boring package! Now, this is where our hyper-organised show routine went a little to pot. 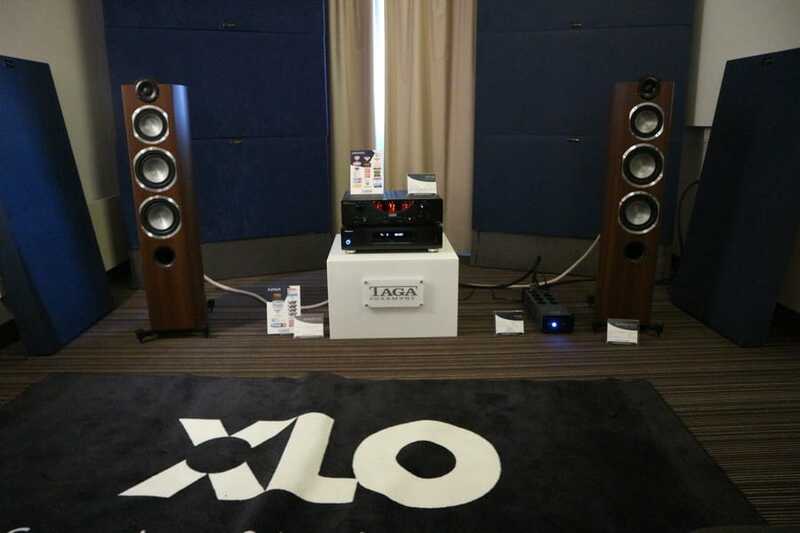 Walking past the door to this room, I heard the familiar sound of The Streets ‘Blinded by the lights’, which is one of my favourite tunes ever…and not one often heard at a hifi show. We were greeted by some large white speakers and amp, glowing beautifully with pink LEDs (they must have known we were coming!). The streets was followed by Royksopp’s ‘Poor Leno’, after that more electronica….I could have stopped in there all day. In fact, I spent some more time in there during the last hour of the show on the Sunday…and they were still just playing excellent tunes, obviously the music they loved too. A star room for me and the best music choices from the whole show. 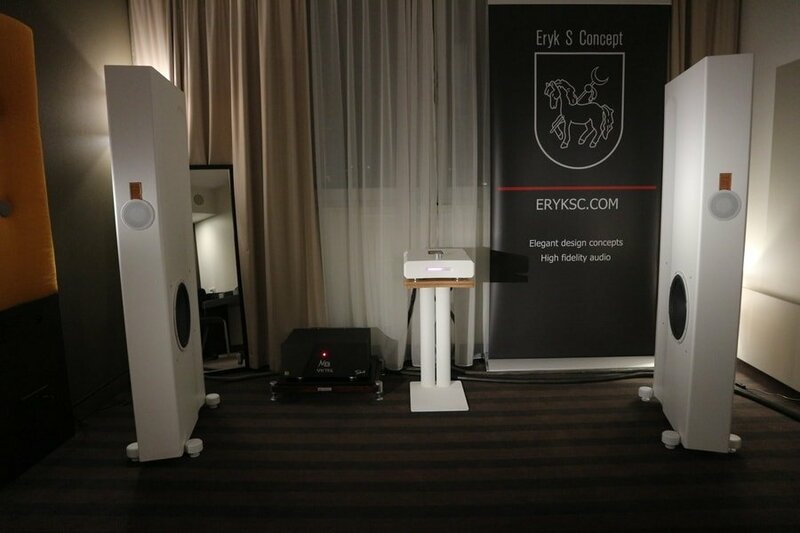 The system featured was Eryk S Concept ‘Wind and Fire’ beautiful stone-white loudspeaker (those side firing bass drivers again) and amplifier combo (Wind are the speakers and Fire is the amp). Very high end, very gorgeous and a sound that I could listen to for hours, the sound was precise but fun and energetic, they made you want to listen more. 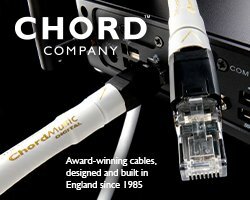 Eryk S was partnering with Pawel from fellow Polish brand AriniAudio, who were responsible for the cables and power conditioning in the room. 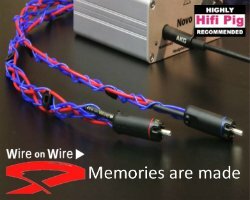 The AriniAudio Individual Utlimate speaker cables were designed specifically for the Wind speakers…attention to detail that I really liked. 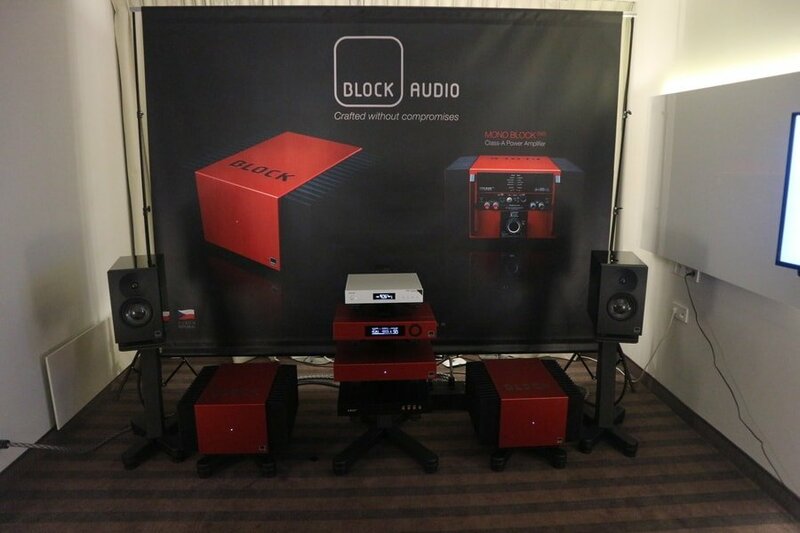 Block Audio are from the Czech Republic and know how to make an impact. The first thing was the visual impact of their stylish red and black products. 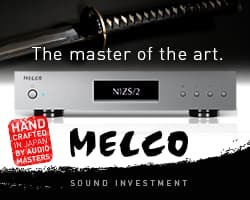 The second was the powerful but well controlled sound. The Mono Block amplifiers were particularly tasty and I like their no-nonsense approach to naming their products, Mono Block, Shelf Block (compact loudspeaker) etc. 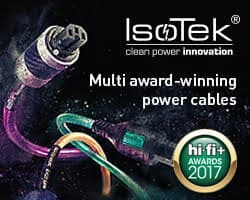 Reinforcing the active speaker trend, Kii are a brand that are rapidly securing themselves a strong place in the market. 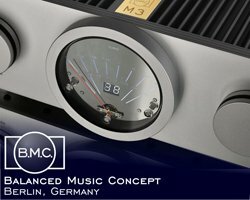 I have enjoyed them since the first time I heard them, and the German brand continue to impress me. 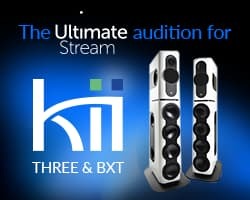 At first glance the Kii Three is a nice looking standmount, but they are actually a very strong sounding system. 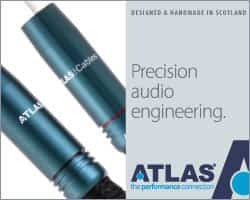 For me they have the sound quality of a ‘proper’ hifi system. Their room at the Audio Visual Show 2018 had the size of a room that many people have as their living room. They worked very well and I liked the fact that they had set up a cool, red leather armchair in the listening position, to create a ‘home’ experience. 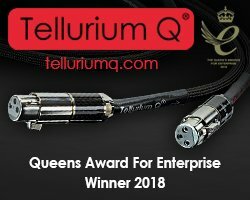 Deeptime impressed us for several reasons. 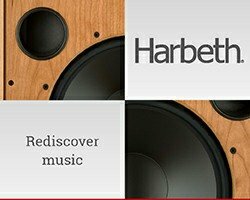 They are a team of three young guys from the Czech Republic who have created an all-in-one speaker system that looks different and stylish, feels very high quality and sounds a lot bigger than its tiny size. 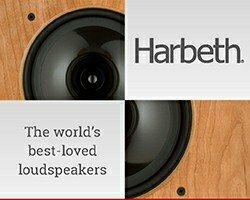 Their designs come from nature, the Spirula speakers are snail shell shaped and the Thunderstone sub is based on the sea urchin skeletons that you find on the beach. They are made using modern techniques and are 3D printed with sand. This makes the little speakers very heavy and solid for their size. 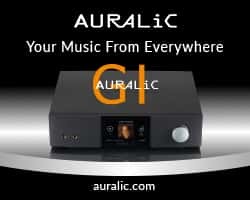 They had a very cool, dark and stylish room to match the product and, when we sat down to listen, we were very impressed with the expansive and accurate sound…definitely not a gimmick but a great system for modern life, with Bluetooth connectivity and also analogue and digital inputs. 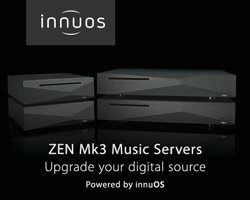 I also like their pricing of 3141.59€ for the complete system. We had a little bit of difficulty in this room owing to us not speaking Italian, the guy from Pearl Evolution not speaking much English and the music being too loud for a conversation…we really wanted to find out more about the speakers, but he wanted to tell us about his very clever levitating hifi podium. Anyway, suffice to say the sound was great, the speakers (which I think were the Mini Ballerina) worked well with the Lector electronics. We gave in and just listened in the end! 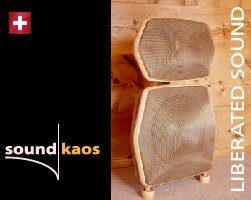 Another new, young Polish brand, RATstudios had quite conventional looking speakers that sounded excellent, very detailed and listenable. The team come from a professional studio background which was evident in the sound. 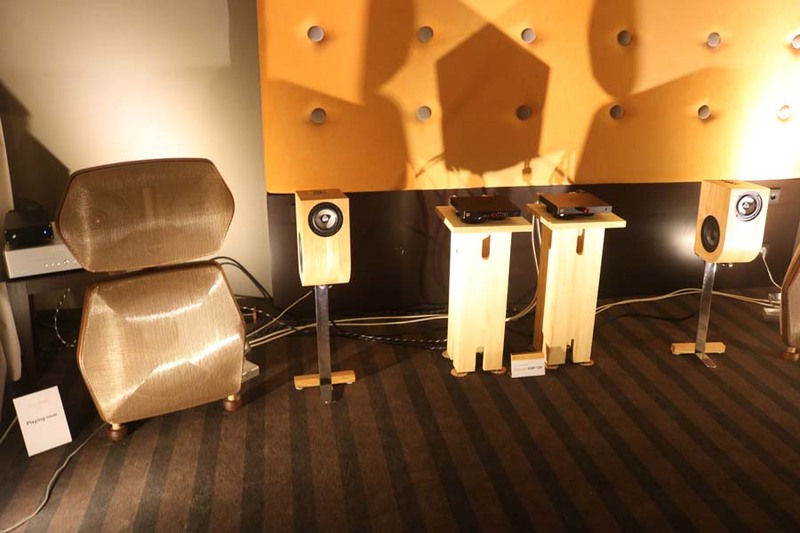 I particularly liked the OSB constructed pair, a really cool industrial look that I haven’t seen on speakers before. 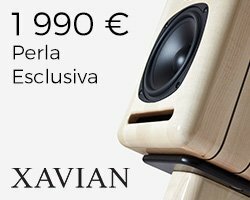 Lucarto Audio handmake all of their products in Poland and both the Songolo SX300 speakers and the electronics were very beautiful in a white and wood finish, right down to the racks. The sound was beautiful, open and airy…however I felt very sorry for them as they were next to one of the few AV rooms that were in the Sobieski. Their neighbours sounded like they had ‘the biggest subs in the world’ and had no consideration for those around them. I think is anything about the show could be improved on, it would be to send anyone with a big screen and AV set up over to the stadium venue. 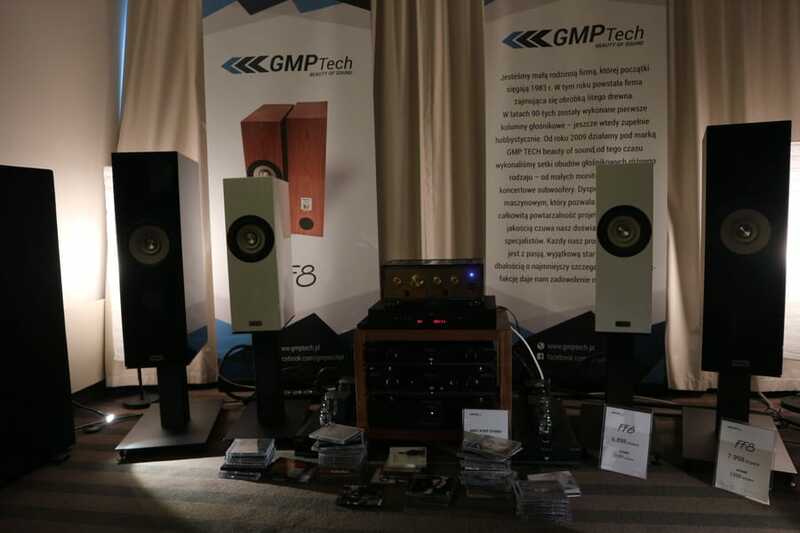 Another Polish loudspeaker manufacturer that really impressed me was GMP Tech. 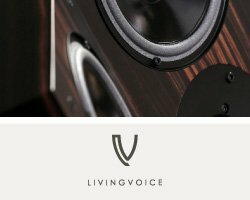 I thought that they must be a new company, but they are actually a family run business that have been processing wood since 1983 and then got into manufacturing speakers in the 1990s. 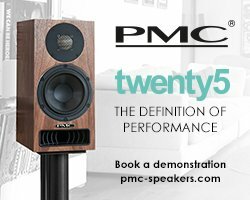 They produce their full range FF6 and FF8 loudspeakers which looked and sounded a lot more expensive than their £1400 and £1600 (approx.) price. The speakers were elegant and beautifully made and they were playing much more lively and younger music than a lot of the rooms. Really enjoyed this room. Taga Harmony are one of the most successful Polish brands, we have known them for several years. 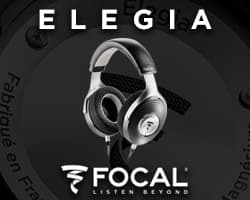 They specialise in making great sound affordable and produce their own electronics and speakers under the Taga Harmony name, plus XLO cables and then also distribute brands like Paradigm in Poland. 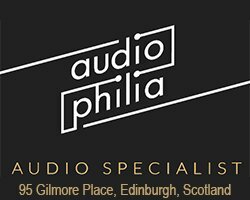 Their system showing off their new Platinum range of speakers was very popular, sounded excellent and was affordable, what’s not to like? Polish brand Struss have been manufacturing hifi amplifiers since 1995, but Zdzisław Hrynkiewicz-Struss has actually been working in the electronics field since 1975 and has worked with big names like Philips and Studer. 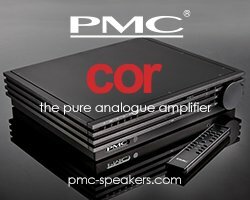 I was drawn to the very distinctive design of their new amplifiers with a sweeping curve of red across the front of them. Their system, in one of the larger Sobieski rooms, was packed and sounded rather excellent, a brand to check out if you haven’t before. German horn aficionados, Avantgarde Acoustic, were in their usual, big room on the Sobieski ground floor. However, as with Avantgarde rooms everywhere, it was totally packed out..so please excuse the picture! They were showing the new Duo Mezzo XD, and I was very pleased to have made it in. As you would expect from Avantgarde, the sound was very special, Armin was a brilliant host and the crowds loved it. 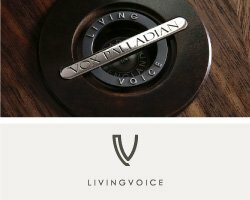 I know I am biased, but there is a reason that I love this brand so much. Armin is known for playing music that you might not hear at an audio show, particularly on the last afternoon. After visiting the Stadium on the Sunday I went back expecting him to be playing either the Wall in its entirety or perhaps some banging dance music (either can be expected). Michael Fremer was in there giving a talk though, so I missed out on an extra Avantgarde fix. That’s my highlights of the Sobieski, still to come check out my favourite and star rooms at the Golden Tulip and the National Stadium!